"This dish is a favorite of my family's. It sounds awful and even looks that way, but it is very tasty as well as having a bit of your veggies. My kids don't know that it's better for them than a cheeseburger!" Heat oil in a large, heavy skillet over medium heat. Cook the shredded potatoes until golden brown on both sides. In a small bowl combine the melted processed cheese with the diced tomatoes with chiles. Stir in half of the peas and half of the corn, and mash them into the hash browns. When well combined, add the remaining peas and corn; continue mashing to combine. Stir in about 1 cup of the cheese and tomato mixture and mix well. Cook for 10 minutes, or until heated through. Spoon the potato mixture into the tortillas and roll like a burrito. 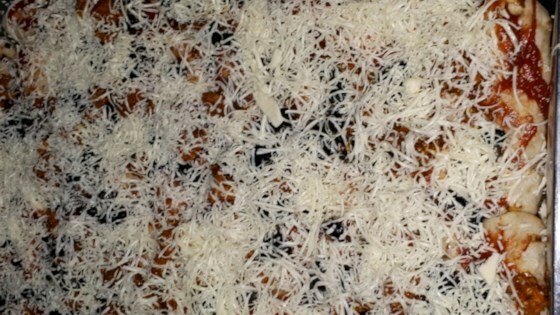 Smother with cheese/tomato mixture. This cheesy vegetarian enchilada casserole stars black beans and tempeh. I have made this dish quite a few times now, and everyone loves it. I have found that a dollup of sour cream helps for those who need to take the edge of the spicy-ness of the sauce.